Black coffee is low in calories and high in antioxidants, but drinking it with every meal won't necessarily help you lose weight. The 3-Day diet, also known as the egg diet, the grapefruit diet or the black coffee diet, is a fad diet that has circulated around the Internet and involves drinking black coffee for every meal. Although it may seem like a quick way to lose weight, the 3-Day diet may be ineffective and unsafe so talk to your doctor before trying it. The 3-Day diet is a three-day long crash diet of unknown origins and it is not approved by doctors or medical centers. 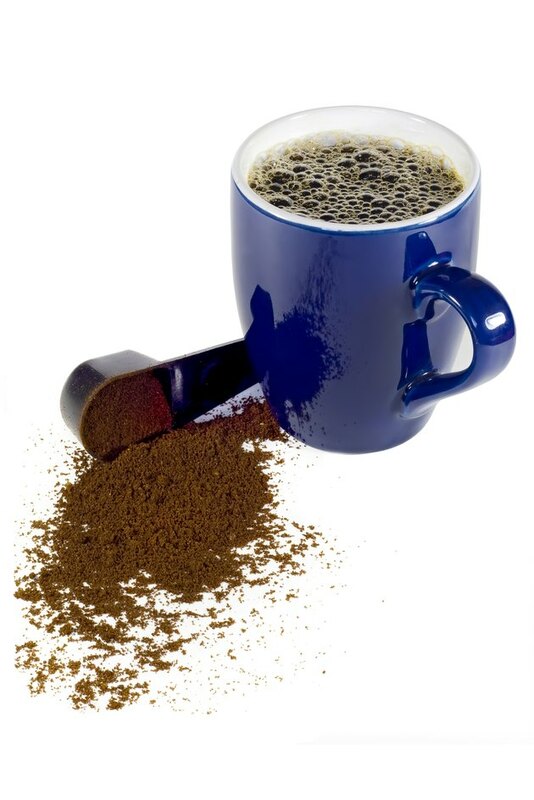 During each meal, dieters drink one cup of black coffee, which may be substituted with black tea or water, if desired. For breakfast, dieters may eat a grapefruit and a piece of toast with peanut butter; for lunch, a few saltine crackers and cottage cheese; and for dinner, two hot dogs and steamed vegetables. The portion size of each meal is small, and these low-calorie meals are purported to cause weight loss. The 3-Day diet involves eating limited portions of the same low-calorie foods for three days. Although the foods in the diet are healthy to eat in moderation, eating them every day in very small calorie portions may be unhealthy and unsafe. Dieters may have one cup of black coffee, half a grapefruit and a piece of toast with 1 tbsp. peanut butter for breakfast. Although these foods may seem healthy, the breakfast is low in fat and calories because the portions are so small -- the meal contains 168 calories and 8 g of fat. Follow your breakfast with a lunch of 1/2 cup canned tuna, a slice of toast and black coffee, and you're consuming only 167 calories and 1.5 g fat for lunch. Whenever you are consuming fewer calories than you burn through exercise and physical activity, you will lose weight. Drinking black coffee with every meal may suppress the appetite, allowing you to stick to the diet even though you're not eating the calories your body needs. If you usually consume 2,000 calories per day and you suddenly consume 500 calories, your body may think it is being starved, and release water to hold onto the fat and muscle in the body. When you start eating normally again, your body will replenish its water supply, causing you to gain the weight back immediately. A fad diet, like the 3-Day diet, is not a sustainable or safe way to lose weight. Although following the diet for only three days is unlikely to cause any permanent damage, trying fad diets on a regular basis may make your weight yo-yo up and down, creating an unhealthy relationship with food and weight loss. Eating limited portions of the same foods over and over in the long run may cause nutritional deficiencies. To lose weight the healthy way and keep it off in the long run, eat a variety of fresh fruits and veggies, lean protein and whole grains, and exercise most days of the week to burn additional calories.